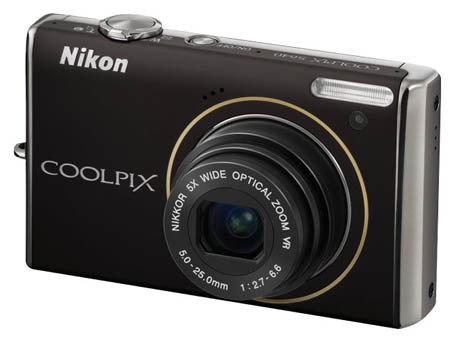 Nikon's CoolPix S640 is all about speed. Nikon claims that it has the fastest start-up time for cameras with a 5x optical zoom and image stabilization. It also features an ultra fast auto-focus system, making it easier to capture all the candid moments that life throws at you. Also included on the ultra-compact S640 is a 12.2 Megapixel imaging sensor, Nikon's 4-way VR Image Stabilization, Smart Portrait System, Auto Scene Selection, 640x480 movie mode and in-camera Quick Retouch features.